Get the security clearance advice you need for your job. When Do Employees Need Security Clearance and Advice? In addition to government, Department of Defense (D0D), and Department of Energy (DoE) employees, contractors who work with classified information also need security clearances. Letter of Intent. The best time to consult an experienced security clearance attorney is upon receipt of the Letter of Intent from a Central Adjudication Facility (e.g., DON CAF, AFCAF, USA CCF, WHS CCF. A properly prepared response to the Letter of Intent that successfully removes the security concerns in the Letter of Intent can persuade the Central Adjudication Facility to grant the security clearance request at that point. Letter of Denial. If you received a Letter of Denial, your security clearance request has been denied. You have one more chance to convince the DoD that you are worthy of a security clearance and/or eligibility for access to SCI. This last security clearance appeal consists of appearing at a “Personal Appearance” in front of an Administrative Judge (AJ) from the Defense Office of Hearings and Appeals (DOHA). The ALJ will review your written evidence, listen to your testimony, and consider your answers before submitting a recommended decision. Be aware that the Government may send a DOHA attorney to this Personal Appearance. The recommended decision is forwarded to the appropriate service Appeal Board to make a final security clearance decision. Reapplying to Open a Case After a Denial. Employees who are reapplying for a security clearance after a security clearance denial from DOHA must provide sufficient information for DOHA to conclude that reopening their case is warranted. If DOHA isn’t convinced, this ends the security clearance request process. Interrogatories from DOHA. It is critical for employees to respond to interrogatories. Responses that are strong enough to remove DOHA’s security concerns may result in receiving a security clearance without a DOHA Hearing. DOHA Hearing. An AJ will listen to arguments for and against a security clearance application that was not granted after the interrogator. Any contractor or contractor employee called before a DOHA hearing should give serious thought to retaining an experienced security clearance attorney to represent him or her. This is where the employee really must put forward the best possible case. DOHA Appeals. A security clearance that has been denied or revoked by a DOHA Administrative Judge can be appealedto the DOHA Appeal Board. However, the Appeal Board does not consider any evidence that was not presented to the AJ. The DOHA Appeal Board rarely overturns an AJ’s decision to deny or revoke a security clearance. It is therefore essential that an individual puts his or her best case forward at the DOHA Hearing. Facility Security Officer (FSO) Application. 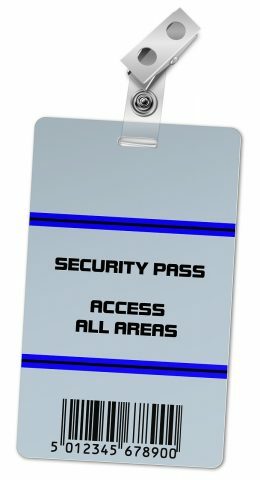 If you run a facility security office, it may be in your company’s interest to consult an experienced security clearance attorney for employees seeking security clearance, or refer your employees to such an attorney. Notification Letter. A DOE Office of Hearings and Appeals publication states that you are not required to be represented by a lawyer, “but a lawyer may be able to make a stronger case for you” at the DOE Hearing. Take DoE’s advice! If you have questions or concerns about a security clearance and the investigation and appeals process, contact my office for a consultation as soon as possible. Applications and appeals have strict deadlines. The sooner you understand your responsibilities, the better prepared you will be.